Have your eyes feasted with the fashion-looking national icon, the Merlion figurines at B2 of Orchard Gateway’s underground fashion street! 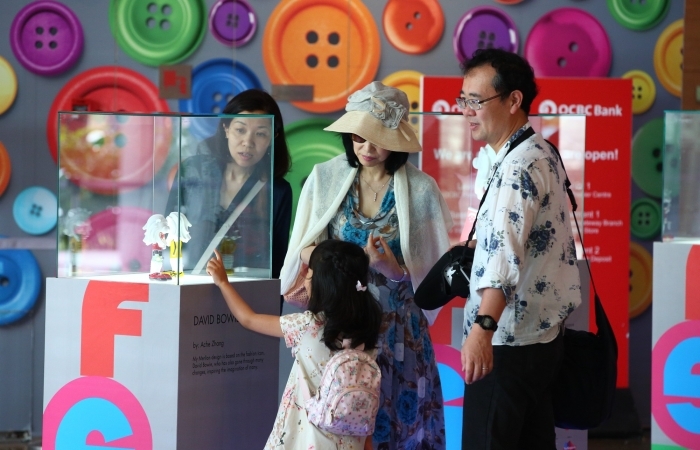 They are the works of Raffles Designers and Creative Practitioners! Reimagined with a modern, stylish and modernised edge, the figurines are exhibited from 1st May to 31st August 2015 and will be shifted to Raffles Education Square from 1st September onwards. 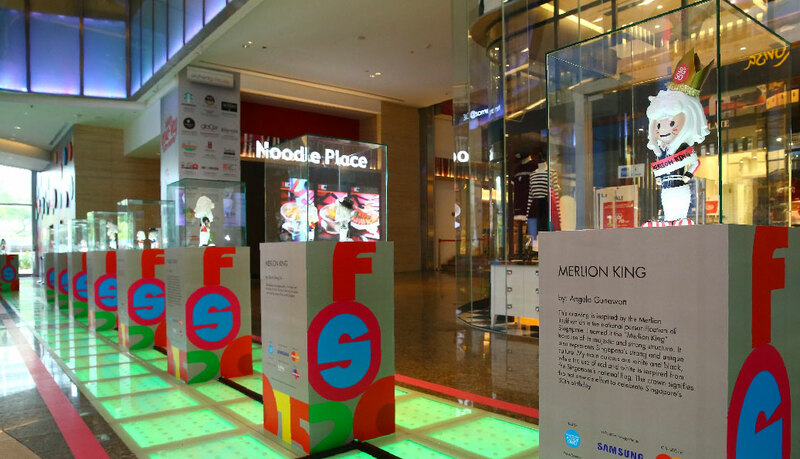 ‘Fashion Splash’, as part of Fashion Steps Out (FSO)’s celebration for the SG50, has engaged Raffles Designers and Creative Practitioners to redesign Iconic Singapore Merlion into a modern and stylish fashionista. 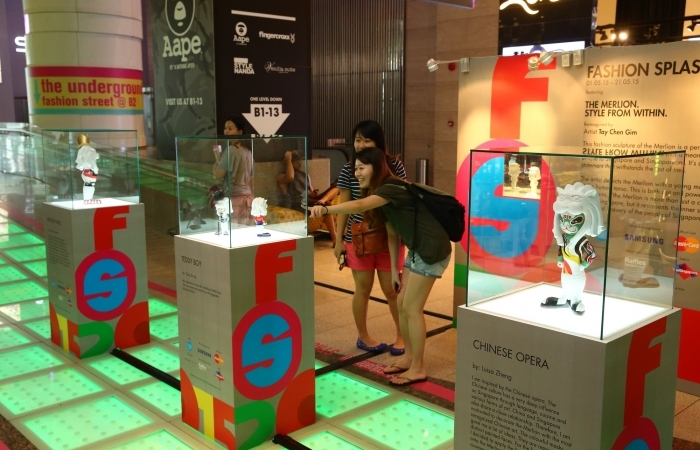 The ‘Fashion Splash’ showcased 30 figurines, 15 of which are at 20cm in height and other 15 at 40cm tall. The 30 colourful and fashionably styled figurines represented Singapore in the most creative and unique way. Their design concept was based on the tagline: The Merlion: Style Comes From Within where the designers created the looks taking cues from the Merlion’s inner style, incorporating the cultural and heritage references, icons and motifs that represent Singapore. 5 sketches, done by Raffles Creative Practitioner Shannon Lee, were launched at the FSO 2015 Media Party on 8 April where the public got the sneak peeks of the designs. Check out some of these 30 interesting sculptures styled by Raffles Fashion Designers!